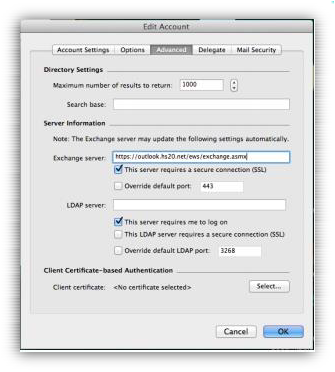 Entourage 2008 SP2 running on Apple OS X Jaguar or later allows users to experience the premium benefits of a Hosted Exchange 2013 mailbox, similar to that of Outlook on a Windows operating system. Click the Tools Menu and then select Accounts. Click New and select the Mail option. 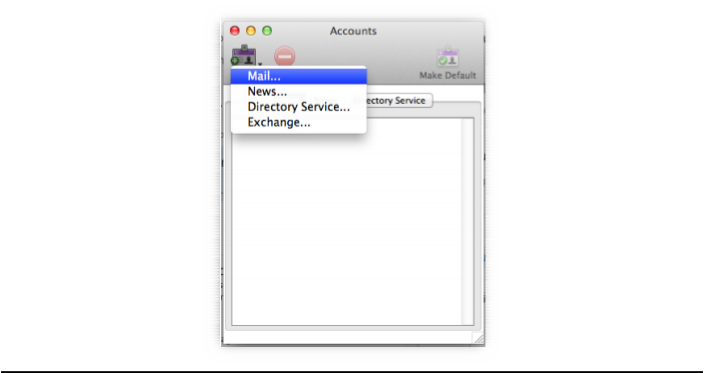 Change the Account Type to Exchange and select the OK icon. Account Name: A name to identify the account. 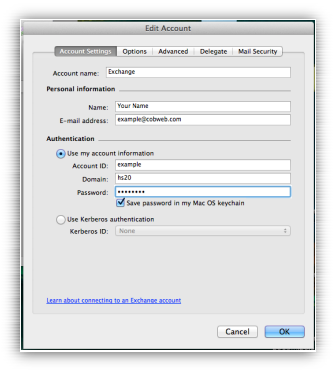 Account ID: Your windows username, as per the Cobweb Control Panel. If the configuration has been successful, mail will start to download within 5 minutes.